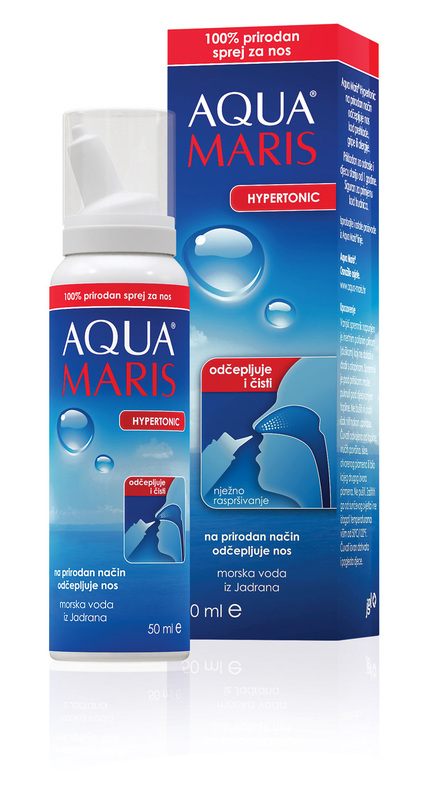 Aqua Maris Hypertonic nasal spray naturally relieves nasal congestion during a cold, flu or allergies. Due to a high concentration of salt, the hypertonic solution removes surplus fluid from the nasal mucosa by osmosis, reduces the swelling of the mucosa and alleviates breathing through the nose. It is suitable for adults and children over the age of one and safe for use in pregnant women.